If you’ve been following my blog for a while, you’re definitely familiar with my love for Craigslist. If you’ve never heard of Craigslist, it’s a classifieds site where people posts ads from everything from jobs to furniture to personals–and more. You literally can find anything on there! In the past I’ve found jobs, my first car, and even my first condo on there! However, these days I’m all about the furniture section. So much so that my love of finding (and sharing) deals from the site led to me being asked for furniture scouting services. It’s something I’ve always wanted to do since I discovered the site years ago. It’s an amazing feeling to help my clients find those missing pieces to make their homes perfect. But my scouting isn’t just limited to Craigslist. I search anywhere from Craigslist to Offer Up, to Let Go, to Facebook Marketplace, as well as retailers (in-store + online). I pride myself on getting my clients the best deal possible! My most recent client was seeking a mirrored desk for her office space in her bedroom. 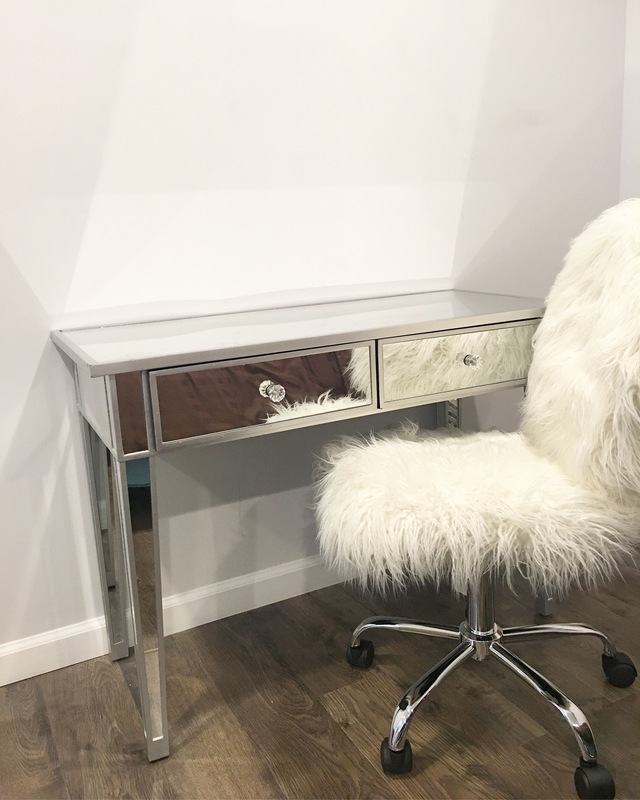 She wanted a chair to compliment the desk, so I suggested a faux fur computer chair to give her office area a glam look. Thus, I went off hunting for the pieces she needed. In less than a week I found the two pieces she was looking for–and for less than the price she would’ve paid for the table alone, had she bought it new from the store. We still have 2 more pieces to find + I’m confident that I’ll find exactly what she’s looking for. I’ll be sure to share those finds with you guys! Looking for the perfect piece(s)? Let me find them for you! Email me at hello@theblackrebecca.com for details!